The attack by Wisconsin Assembly Speaker Jeff Fitzgerald (R-Horicon) on the non-partisan Government Accountability Board yesterday was inaccurate, misguided and just plain foolish. The G.A.B. -- which was purposefully designed to exercise some independence from the dictates of legislative leadership when it was established in February of 2007 -- had issued some statements and taken some actions in recent weeks that Fitzgerald is obviously not happy about. Why? Because they did not conform with his partisan view of how the recall elections should be conducted or didn't adhere to his very narrow view of what type of photo identification should be acceptable at a polling place in order for a Wisconsin citizen to vote. Or, because the G.A.B. 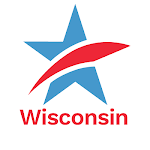 recently stated that the new state legislative districts that were drawn by the Republican-controlled Wisconsin Legislature should be in effect for the November, 2012 elections (as is specifically stipulated in the law passed by the Republicans) and not before. And so, for exercising its independent judgement on some very contentious election issues, the Legislature should consider disbanding the G.A.B. -- and Wisconsin should consider going back to having a state ethics board and state elections board, which "worked fairly well," according to Fitzgerald. The old state ethics board and the hyper-partisan state elections board were scrapped in favor of a more effective, more independent Government Accountability Board precisely because the two former state agencies were not working effectively to safeguard Wisconsin's election system or to uncover and investigate corruption in the Capitol a decade ago. The most serious political scandal in Wisconsin's history -- the Legislative Caucus Scandal -- occurred because there was no effective state agency exercising non-partisan, independent judgement investigating possible wrongdoing by legislators. Just over nine years ago, the top legislative leadership of both political parties was criminally charged with felony misconduct in public office and on successive days in October of 2002, Democratic State Senate Majority Leader Chuck Chvala, Republican Assembly Speaker Scott Jensen, Assembly Majority Leader Steve Foti and Assistant Majority Leader Bonnie Ladwig were criminally charged. Earlier, in June of 2002, the Democratic Co-Chair of the Joint Finance Committee, Senator Brian Burke was charged with numerous counts of felony misconduct. All were found guilty of some criminal conduct and forced from public office. As a direct result of the Legislative Caucus Scandal, Senator Mike Ellis (R-Neenah) in late 2002 took the lead in proposing the non-partisan, independent Government Accountability Board to be established to replace the discredited state ethics and state elections boards -- which had failed to uncover or investigate the scandal. CC/WI worked with Senator Ellis on the measure and it gained wide, bipartisan support and was finally passed with very little opposition by both chambers of the Wisconsin Legislature. Former Republican Assembly Speaker Mike Huebsch played a key and very supportive role in getting the measure passed overwhelmingly in the Assembly. And Jeff Fitzgerald voted for the G.A.B. There is nothing partisan about the Government Accountability Board. The six retired judges who constitute the board are all demonstrably non-partisan and have issued decisions that have not pleased partisans of all political persuasions. Which is exactly what they are supposed to be doing. Simply because the G.A.B. issues some decisions that irk a partisan legislative leader does not mean "it's not working like it is supposed to work," as Speaker Fitzgerald charges. On the contrary, the G.A.B. -- with limited staff and resources -- is working as well or better than could be expected given the unprecedented political circumstances that have engulfed Wisconsin over the past year. A return to the old system with an ineffective state ethics board and hyper-partisan state elections board --- that legislative leaders like Fitzgerald could control and manipulate -- would be scandalous. Speaker Fitzgerald's Misguided Attack on Government Accountability BoardTweet this! poor choice for a representative. does he represent his districts views of jeff fitgeralds views? i do not think he cares one bit about the voters but, instead his own agenda of control and power. who in their right mind would vote for this guy as kohls replacement?? ?